I have always heard of the benefits of rose water and have always been intrigued, but purchasing something that seemed so easily made at home. I couldn't justify paying for it. Having anti-inflammatory properties, using rose water can help in reducing the redness from irritated or over-heated skin. Just like rose oil. Can be used as a cleanser to remove dirt and makeup, and because its all natural it shouldn't irritate you skin. I say shouldn't just incase some people out their have rose allergies. When used like a toner it can tighten capillaries, reduces redness and blotchiness. The aroma of roses is said to be a powerful mood enhancer. It can aid in anxiety and promotes emotional wellbeing. Because it is de-stressing it will aid in a greater sleep. 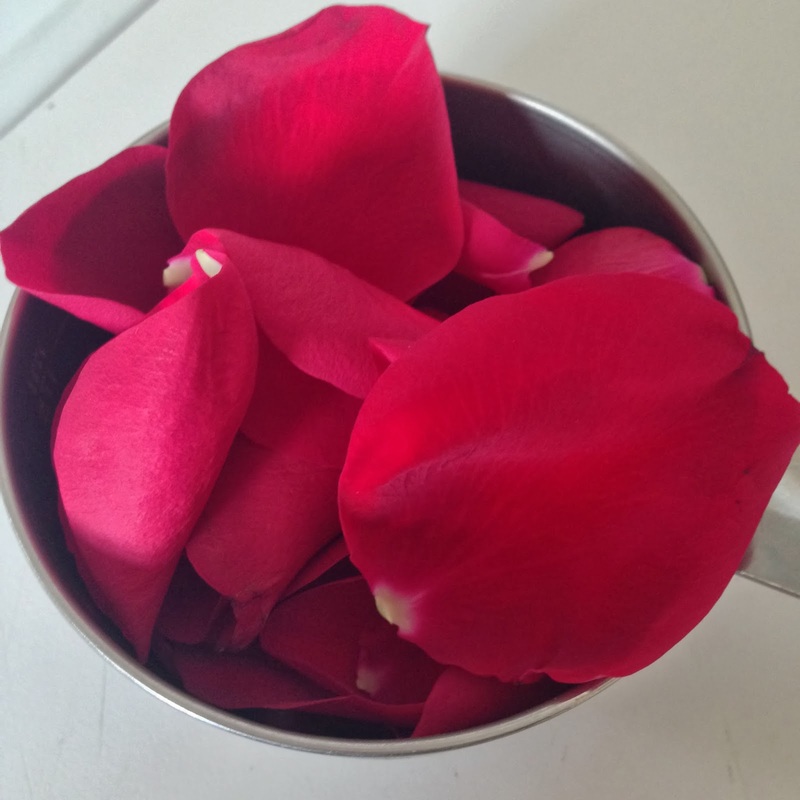 Place the rose petals in a large pot and fill with just enough distilled water to cover the rose petals. Too much water will dilute the rose water. 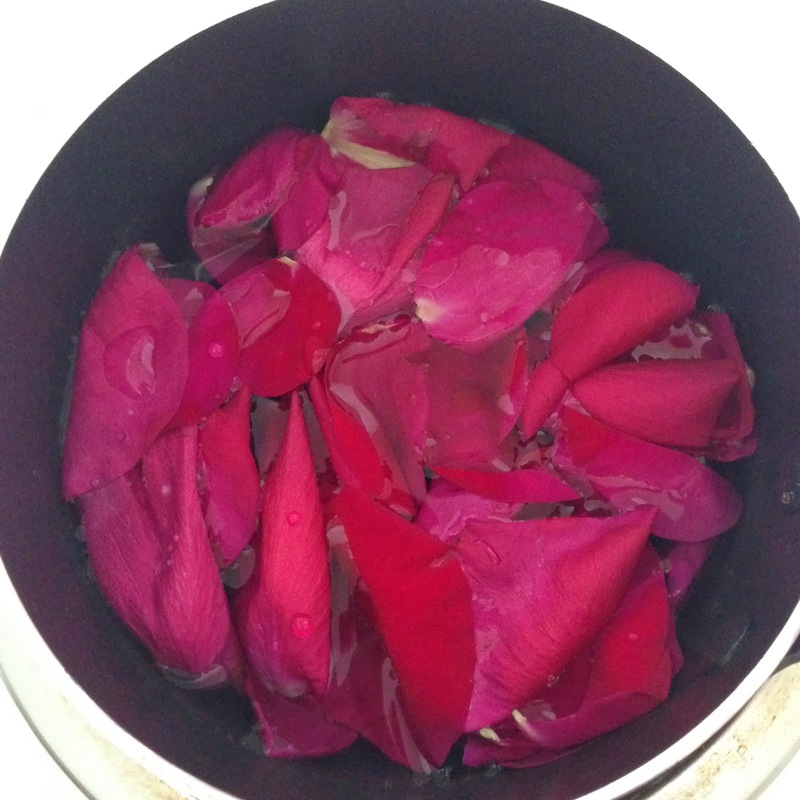 Cover with a lid and let simmer until the petals lose their color [about 15 minutes]. Once the petals have lost their color remove from heat and let cool. 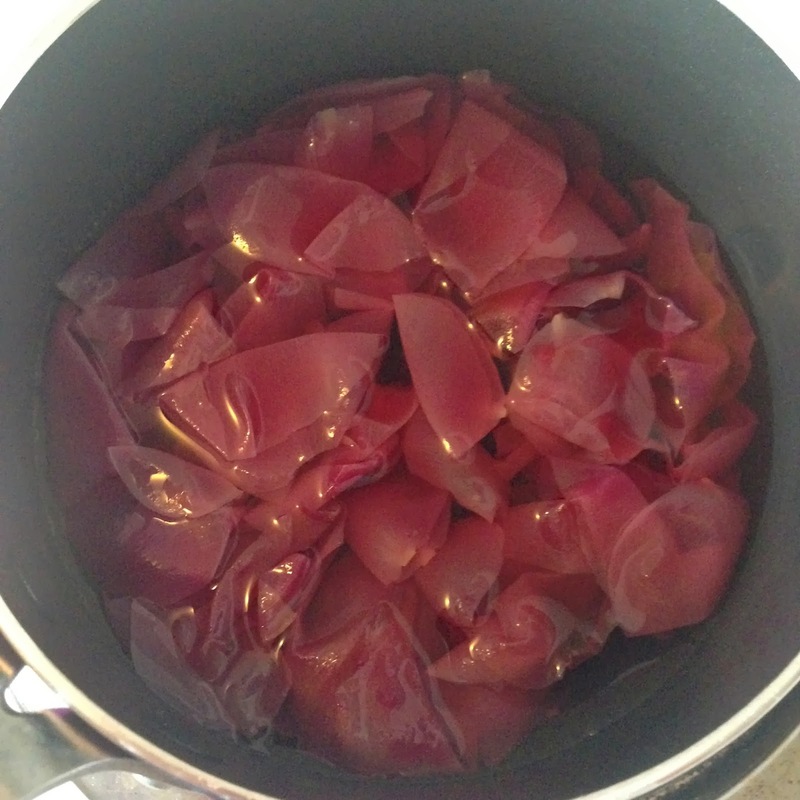 After the water has cooled pour water into your storing container, be sure to sure a stainer to catch the rose petals. And thats it you're done. You can place the rosewater in the fridge if you'd like it to be cool. Rosewater has a ton of other great calming properties, that you can found out in the links below. Have any of you every tried rose water before? What a lovely idea. I will definitely try this! I am also a big fan of rose jam - but I think you need a certain type of rose petals for it. I have never had or heard of rose jam. I will be keeping my eyes out for that! I love rose water but I always buy it and run out almost immediately. I think I'm gonna give this a go.